Were you a part of the early 1970s student unrest about “unpleasant school dinners, caning, and the conformity of school uniforms”? 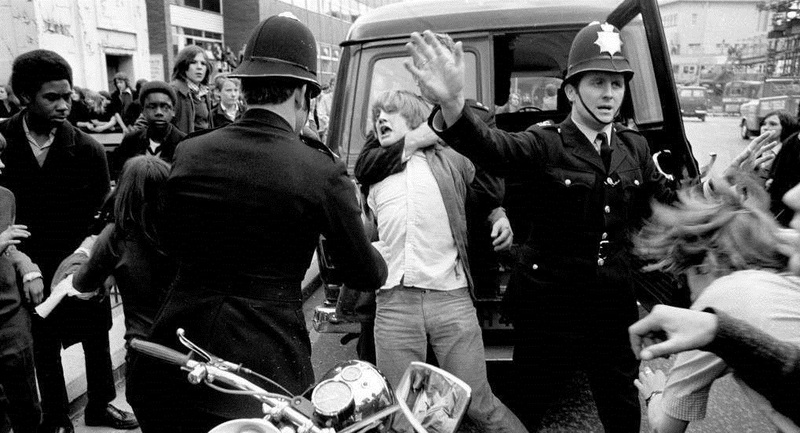 According to this report, we at QK were not a happy bunch: “On the 4th May 1972 about 200 boys aged between 11 and 16, put down their pencils and rulers at Quinton Kynaston School on the Finchley Road near St John’s Wood in north London. It was the start of a protest about unpleasant school dinners, caning, and the conformity of school uniforms. The boys swarmed over the school wall and not knowing really what to do next decided to all go home.” According to Len Clark, Everest-Phillips” was most likely a head of year. And, from February 1973: Unrest must have resurfaced the following year. 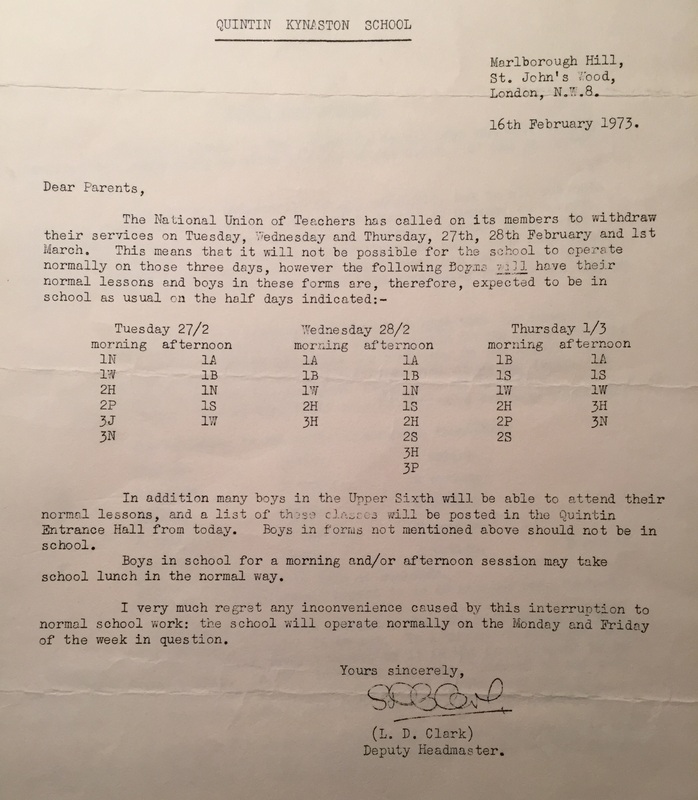 Here is Deputy Head Len Clark’s February 1973 school closure letter to parents. Read about punishment in schools in our History section. Well, we won – in the end! Previous Post: « Proposed Housing Development & 42 Acre Park Threatens Kynaston & Quintin Schools Build! Re the school strikes. I happened to be School Captain at the time (the first one ever with long hair! ), and I remember one day a whole load of pupils refused to come back into school from break, and though I and prefects tried to encourage them they just ignored us! Then a large group ‘bunked off’ school and went and rampaged through Swiss Cottage, as I remember, causing chaos and alarm. It was all bit pointless, really, as it didn’t achieve anything and they call just trailed back to school or went home afterwards. But the Head, Mr. Holt, went almost ballistic – I remember in assembly next day he ranted on about ‘bringing shame on the school’ etc. I felt a bit embarrassed – but honestly, what could I have done? lol It was all just part of the atmosphere of the time, I suppose. Hi Lawrence, sorry for your embarrassment, I was one of the culprits, I do do remember next days assembly trying to keep a low profile, it didn’t work, later that day being read the riot act by Lennie Clark. Hallo. Really pleased to find this site! I’m so impressed that old Kynaston boys have gone to the trouble of remembering their school like this. Any old Quintinians who’d like to do the same for our pre-QK days? Perhaps they could both be on the same site, as we ended up being one school?